The Los Angeles Unified School District (LAUSD) has teamed up with the leading web design agency to announce the completion of a much-anticipated and robust web project. The new portal is designed to serve as a digital resource for educators of the nation’s second-largest school district. 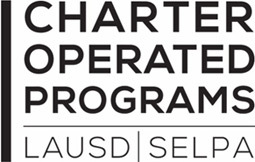 The updated Charter Operated Programs website was launched by Silver Lake-based Websites Depot. The solution offers a cutting-edge digital resource center that was previously not available to district staff, administrators, and teachers. The site also aims to provide specific digital resources to LAUSD’s special education administration and faculty. LAUSD’s new site was designed through close collaboration with the web development team at Websites Depot, which to built a modern cloud-based platform. The platform allows teachers to access important resources, curriculum and digital training in a fast and secure fashion. Also made available – is a modernized job board for candidates seeking entry into charter schools within the LAUSD. As all resources and functions are implemented and go online in the coming weeks, member schools will be able to utilize the full index of available features. “We put together a plan and a layout that addressed their stated needs,” said Alejandra Villarreal of Websites Depot, who oversaw project management of the new site. According Websites Depot’s Elena Maitkova, the lead developer who spearheaded the coding and programming involved in the site, unique features laid out for LAUSD include an advanced user experience with member-only access to exclusive resources and training materials. In addition, the site was laid out in a way that makes front-end editing of major site utilities easy for district administrators. Visit Charter Operated Programs for the complete list of resources newly-available to LAUSD members. To find out more about Websites Depot, or to make a press inquiry, please contact (213) 332-9255.